This one’s for the ladies… Whether you’re a newlywed or a super mom, a businesswoman or a lover, Papushka’s range of luxurious sleepwear and kaftans will allow you to release your inner goddess. Created by Nishad Khan, this sultry fashion brand features items including ethereal chiffon ponchos, luxurious gowns, lace kaftans, soft and light kimonos, pajamas and pajama inners. “Papushka is a brand which empowers women to feel glamorous at home for themselves, and their partners,” explains Khan. The label’s name is a variation of Khan’s second name, Papushka, which was given to her by her Czechoslovakian grandfather. Every Papushka garment is made from the highest quality fabrics and is designed and manufactured in South Africa in ultra-limited quantities. For more info or to shop Papushka, head on over to www.papushka.co. Last week saw the opening of Blanko, the newest restaurant addition to The Kove Collection‘s hotel and restaurant group. It was an opulent black tie event as The Kove Collection spared no expense to provide an unbelievable restaurant experience to their guests, including celebrities, socialites, designers and media. I was invited to share this special moment along with guests including TV personality Tracey Lange, Fashion Designer Warrick Gautier, Blogger Jasna Zellerhoff and Designer Jenni Button to name just a few It was a fairy-tail event on a lovely Spring evening in Constantia, Cape Town and guest were spoiled both delicious canapés and wines specially selected by the chef. The Kove Collection creates personalised experiences, highlighting fresh food, good service and innovative design and culture, while upholding a strong, sustainable approach towards the people and environment they operate in. This contemporary new Italian eatery is located in the height of luxury at the iconic Alphen Hotel in Constantia. Blanko boasts a vibrant “all day” atmosphere, where locals can eat and drink to their hearts’ content in a series of beautifully designed spaces within a heritage location. Blanko’s all-white gallery-style space reflects the contemporary style synonymous with the Kove Collection. With Italian marble tables, a dramatically-lit white bar and textured furnishings all highlighted in ambient lighting. A perfectly white outside terrace stimulates the senses, with a central water feature as the cherry on top. Group Head Chef, Amber-May Deetlefs delivers her culinary philosophy in her unique Italian style, “I believe the best food is prepared from the heart – it not only has to taste good, it should be something sincere and uncomplicated”. A first for Cape Town, in collaboration with Cape Town’s Goodman Gallery, the walls of Blanko will feature work from some of South Africa’s greatest contemporary artists. Founder and MD of the Kove Collection, Paul Kovensky has a passion and appreciation of art which is evident in every aspect of Blanko. And the restaurant’s white interiors provide the perfect canvas to compliment great art. Artists who will be featured include Diane Victor, David Goldblatt, William Kentridge, Brett Murray, Michael Savitsky, Robert Hodgins and Walter Oltmann. Kovensky is excited about the opportunity, “The current social “buzz” in Cape Town, paired with the locals need for exciting new places to eat, Blanko is the ideal concept for foodies & families. We believe Blanko’s contemporary concept provides a charming contrast and antidote to the “old world” architecture and ambience of the Alphen Hotel, bringing a breath of fresh air to the neighbourhood. We’ve always placed a high value on offering our guests the best, most memorable experience possible. And Blanko is simply a natural evolution of this”. Blanko is an all-day affair – so come, stay and enjoy. Open daily 12noon-10h30pm for lunch and dinner, for reservations call 021 795 6300. 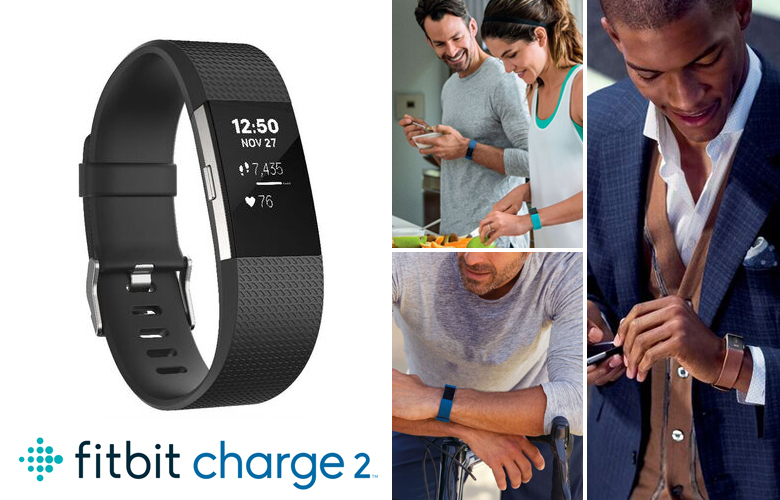 Introducing the new Charge 2 featuring the all-new heart rate and fitness wristband. Maximize workouts with PurePulse heart rate, multi-sport modes and Connected GPS. Track all-day activity, exercise and sleep and make the most of your routine with smartphone notifications. The device even sends you gentle reminders to move when you have been stationary for perhaps a little too long and if you’re feeling a little stress, try the guided breathing sessions to calm yourself down. Available in Small or Large in Black, Plum, Blue and Teal and limited edition colours, Black/Gunmetal and Lavender/Rose Gold, this water resistant lifestyle companion is designed to fin in seamlessly to your daily routine. Available October 2016. Avid swimmer, or just just enjoy the occasion swim? Well, the new Flex 2 is perfect for you. 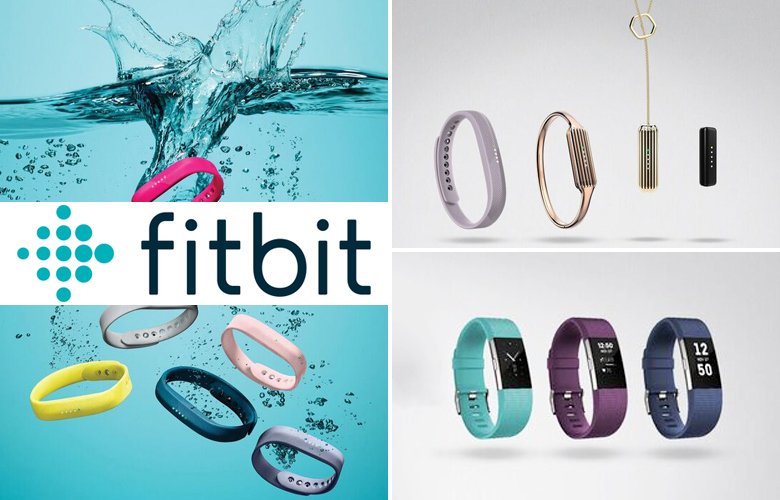 An ultra-slim, swim-proof fitness wristband with a removable tracker that fits into the exchangeable bands. Wear Flex 2 in the pool, shower or ocean and never worry about making a splash. Plus, automatically track your swimming and get stats like duration and laps counted. Catering for the fashion-forward, accessories include lux bangles or pendants, available in silver and rose gold to add a bit of class to any outfit. Track all-day activity, exercise and even sleep in a style that’s all your own. Classic bands are available in Black, Navy, Magenta, Lavender, Blush Pink, Gray, Yellow in sizes Small and Large. Classic 3 Band Packs are available in Navy, Gray, Yellow, Pink Pack – Includes Magenta, Lavender and Blush Pink, also in sizes Small and Large. Available October 2016. 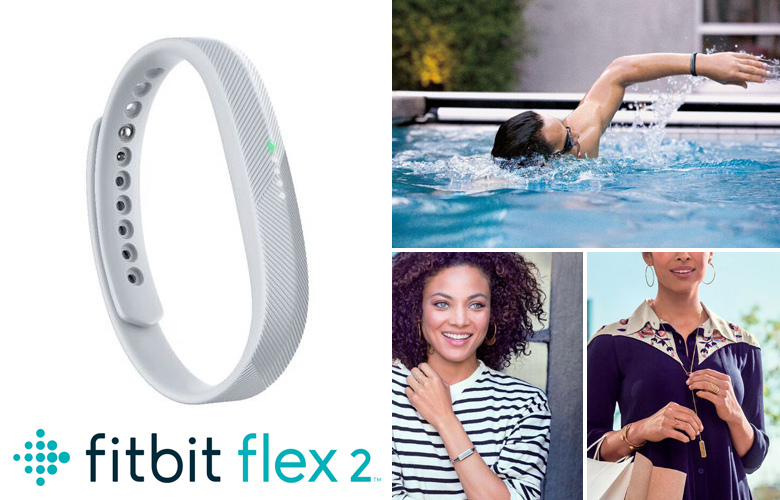 There’s a Fitbit for everyone… click on http://www.fitbit.co.za to find your match. Stewart Richard Grays is a brand synomynous with style. The luxury brand is launching in South Africa this year with two labels under their banner; Grays London and G4Sports. Designer Stewart Richard Grays partner`s with Ray Henry Randall to bring two collections that epitomise contemporary men’s fashion. The apparel and accessories collections are perfect for the professional out-going man who strives to live a balanced lifestyle between work, health, social and travel. Stewart Grays is no stranger to the world of fashion. The acclaimed British designer has had an impressive career working in luxury retail brands across the world. RayRandall, Fashion Director, has worked in entertainment and trends, with his passion lying in personal styling. Together with Stewart’s international travel and Ray’s global trends knowledge, these fashionable men have designed both Grays London and G4Sports to offer stylish contemporary apparel and accessories to suit a balanced lifestyle and active career. The mainline Grays London men’s collection of apparel and accessories uses Italian fabrics and trims, enamel branded buttons, contemporary styling and classic over-tones. The accessories are in soft Napa leather with the Italian chrome hardware and suede lining, that complements the look. The G4Sports line of leisure and sportswear along with canvas and leatheraccessories offers a relaxed masculine style for everyday use. Think luxury design quality and design at mid-level prices. Both collections have been manufactured in Cape Town but now Grays London and G4Sports will be available to purchase through stores in SA, and online later this year. To launch the exclusive men’s brand, Stewart Richard Grays is partnering with the regal and high-performance car brand, Jaguar, at the Jaguar Showroom in Cape Town. For more information visit: http://www.stewartrichardgrays.com and follow the brand on Twitter: https://twitter.com/stewartrichardg. south african model, roxy louw turns 29! Last week I was invited to attend my dear friend, South African model, Roxy Louw‘s 29th birthday party in Cape Town. A low-key celebration, with some big names in South African entertainment, the guest list included tv presenters Jeannie D, Siv Ngesi and Liezel van der Westhuizen to name a few, though it was certainly a family and friends affair with Roxy’s entire family in attendance as well as close family friends. It was a festive evening as guests enjoyed drinks, snacks and of cause the birthday cake was a treat! Blazing her own trail, Roxy has become a well know celebrity figure in South Africa, with features and covers for magazines such as FHM, Maxim, Sports Illustrated with both local and international prints. Lately, among other business endeavours, she has been spending some time globe-trotting as she showcased Charmaine Taylor’s Legacy Collection jewellery line to an international audience. Happy birthday Rox! How often do you get to spend the evening with 4 beautiful cover-girls? Okay, these cover-girls happen to be dear friends of mine and I was lucky enough to scoop an invitation to the Cape Town launch of Shine/Skitter Magazine last Tuesday, 24 Novermber 2015, after they dazzled Johannesburg the previous week showcasing their covers. Shine/Skitter Magazine is one of South Africa’s most prestigious glossy luxury magazines and this year they featured four of SA’s top personalities, each with their own cover; Top Billing TV Magazine Show’s Jade Hubner, Afternoon Express Show’s Bonnie Mbuli as well as Expresso Show Morning Show’s Leigh-Anne Williams and Zoë Brown. Certainly an evening to remember, guests were shuttled in style by Mercedes-Benz and offered a delicious glass of Graham Beck champagne upon arrival. Celebrity and media guests included TV personality Tanya Nefdt, comedian Angel Campey, blogger Jasna Zellerhoff as well as Khanya Siyengo and food blogger Ilse Fourie. Treated to delicious canapés while we waited for the guests of honour to arrive, the stunning Mercedes-Benz showroom showcased some high-end cars to admire and dream about owning. It was a spectacular evening and even included some surprise prizes including luxurious skincare, fragrances and diamonds! As we usher in a new summer in Cape Town, South African fashion designer Craig Port hosted his much anticipated Spring/Summer Men’s Swimwear Collection in association with South African Menswear Week at The Glen Boutique Hotel & Spa in Sea Point, Cape Town. 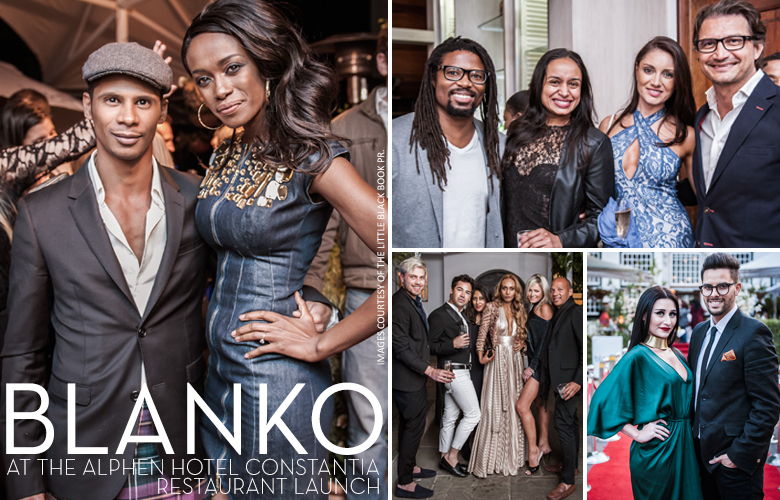 It was a poolside affair with guests including tv personalities Ewan Strydom (who joined the boys on the ramp strutting his stuff), Leigh-Anne Williams and Kia Johnson as well as model/presenter Tyrone Nell, fashion bloggers Jasna Zellerhoff and Clouds Drummond and of cause myself. Welcomed with an Aperol Spritz, we were all serenaded by Acoustic Element who set the tone for a sweltering afternoon to celebrate the official opening of the summer swimwear season. Fashion Producer Jen Denier and Craig Port worked together to create a swimwear display that few will soon forget. Superstars from BOSS Models were cast to join the #PORTSQUAD and strut their stuff around the venue before congregating for the shows-topping finale were Zolani Mahola from Freshly Ground treated guests to a surprise performance. With models, swimwear and poolside boutique hotel setting, it was the perfect way to enjoy a summer’s day and of cause some eye-candy (for those interested *wink*). Last Saturday, 07 November 2015, once again saw South Africa’s elite dust off their fascinators for a day of polo tournaments at the 6th Annual Cintron Pink Polo in support of raising awareness of breast cancer at Val de Vie Estate in Paarl, Cape Town. I was delighted to have been invited again this year and equally delighted to see Lee-Ann Liebenberg with her hubby, Nicky van der Walt, both dressed to the occasion as always. Nicky didn’t saddle up this time around, which left more time for the two to enjoy the tournament with their friends and each other. Dressed by Peta Eggierth Symes for Pallu, Jennifer Su, who by the way just last week released her first book titled “From Z to A Lister“, looked ravishing. “The Shores” reality TV show creator Quinton van der Burgh was also in attendance and I had a chance to catch up with his lovely girlfriend, Courtney Cousins, who spilled the beans to me about her ready to wear fashion label/line, look out for that! Another highlight was catching up with Ryk Neethling and his fiancé Sahar Binaiz, wow, she is gorgeous. All in all it was a wonderful day at the estate and Cintron Pink Polo and Val de Vie Estate certainly pull out all the stops to create a world class event with host for the day, the stunning Tanya van Graan. Unmistakably one of the most prestigious events on the global social calendar, the Veuve Clicquot Masters Polo Tournament takes place in just a few days, 7 March 2015. 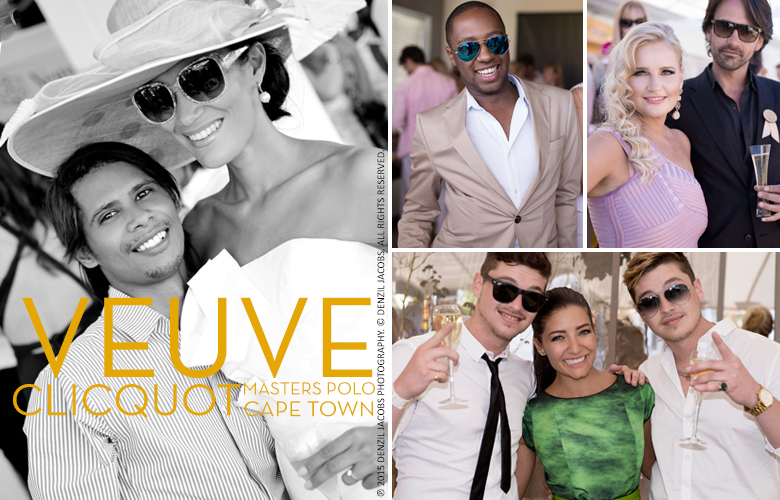 In association with Bently SA and Vivid Luxury, Cape Town will play host to it’s 5th Annual Veuve Cliquot Masters Polo event at Val de Vie Estate. Over the years, I have had the pleasure of being invited as a guest to celebrate along with some of SA’s biggest and most beloved celebrities including actress Natalie Becker, TV personalities Jeannie D, Cindy Nell, Jo-Ann Strauss and Jennifer Su as well as music and fashion icons such as LCNVL and David Tlale. A highlight this year is that media mogul and TV personality Bonang Matheba will be making an appearance! With no expense spared, it certainly is an event like none other. Enjoy an afternoon of unparalleled champagne, food and an incredible fashion show by Jenni Button. 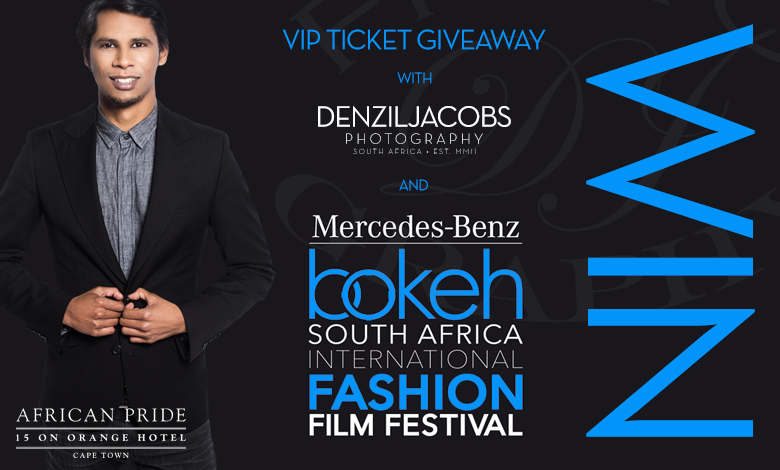 The Annual Mercedes-Benz Bokeh South Africa International Fashion Film Festival will take place at the luxurious 15 on Orange Hotel in Cape Town this month and I am giving away 2 sets of double VIP tickets! Join me along with some of SA’s most loved celebrities on the red carpet on 28 March 2015 and enjoy an evening of fashion and film! 5.) You may also include tags on Instagram (@DenzilJacobs and @BokehFFF). These will be considered, but only if 1.) and 2.) are done. Competition ends at 12noon (Cape Town time) on 10 March 2015. The winners will be announced via Twitter (@DenzilJacobs) on 10 March 2015. Note: The tickets are not transferable. The prize/tickets excludes travel and accommodation. Should the prize not be claimed within 48hours after announced, a new winner will be chosen at random.